With this grant from the Fund, Ozaukee County will purchase a Low Disturbance Manure Applicator (LDMA) that farmers in Ozaukee, Washington and Sheboygan counties can rent for a nominal fee. 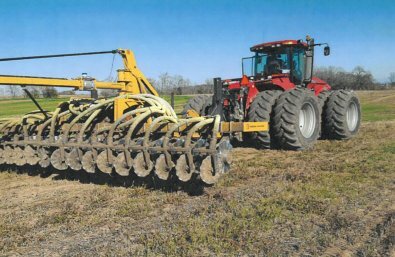 The LDMA, which injects manure directly into the soil, offers an alternative to traditional manure application that requires tilling to incorporate the nutrients into the soil. This approach would allow more farmers to use cover crops, a practice that helps prevent erosion and improves water quality. Ozaukee County’s goal is to utilize the LDMA on 2,000 acres in the Lake Michigan watershed in 2018 as well as increase the use of cover crops in the county by 25%.